Developing new materials and processes for a sustainable world is a challenging but rewarding goal. The current emphases of our research focus on novel catalytic materials and reactions that would facilitate and enhance environmentally friendly, energy- and material-efficient chemical processes, and on new materials that enable capturing waste energy or reduce waste energy in processing and manufacturing. Highly efficient catalysts minimize energy consumption and environmental impact by reducing waste generation and material consumption and simplifying process complexity. The ability to design such catalysts relies on our level of understanding of catalytic reactions and the available synthetic tools. Our prospect to achieve this is greatly improved by the recent rapid advances in synthesis capabilities, consequence of developments in nanotechnology, and in atomistic characterization of catalytic systems. They enable design and synthesis of catalytic materials that model after natural enzymes, which are among the most active and selective known catalysts. Our group has been acquiring the skill set needed to introduce enzyme-like functionalities into nonbiological materials so as to capture the reactivity and reaction specificity of the enzymes without the constraint of sensitivity to processing conditions that they exhibit. Currently, we focus on the design and synthesis of catalytic materials that exhibit two unique properties of enzymes: cooperative effect in which two or more functional groups interact cooperatively to enhance the catalytic activity and specificity, and confinement effect which manifests the influence on the immediately surroundings on the properties of the active center. We have successfully completed the first synthesis of an asymmetric bicyclic siloxane, as well as spherical nanocages of siloxane and carbosilanes with interior functional groups and molecular size-selectivity for access to the cage interior. We have successfully synthesized the first heterogenized, Lewis acidic Sn-oxo unit that also produces Brønsted acidity upon adsorption of alcohol. We have demonstrated the importance of metal-support oxide interfacial perimeters sites in selective propane oxidation to acetone Our current activity includes designing structures that anchor multiple functional groups to understand the conditions for cooperativity, and apply these structures to for highly selective catalytic reactions. There are many different types of waste energy. One is small amplitude motions, such as vibration. Piezoelectric materials can convert motion into electricity, but the conversion efficiency is very low. We are exploring new types of materials for such purposes. Waste heat in process streams is another source of waste energy that can be minimized if degradation of heat exchanger surfaces can be prevented. We are examining how chemical properties and morphology of heat exchange surfaces affect scaling and biofouling. Linping Qian, Zhen Wang, Evgeny V. Beletskiy, Jingyue Liu, Haroldo J. dos Santos, Tiehu Li, Maria do C. Rangel, Mayfair C. Kung, and Harold H. Kung, “Stable and solubilized active Au atom clusters for selective epoxidation of cis-cyclooctene with molecular oxygen,” Nature Communications, March 28, 2017, DOI 10.1038/NCOMMS14881. “Electromechanical properties of reduced graphene oxide thin film on 3D elastomeric substrate,” Yue Yang Yu, Xue Jun Bai, Mayfair C. Kung, Yeguang Xue, Yonggang Huang, Denis T. Keane, Harold H. Kung, Carbon, 115 (2017) 380-387. 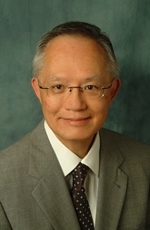 “New Materials for Catalysis and Energy Storage Devices,” Harold H. Kung, AIChE Journal (2016), 62 (10), 3518-3528. DOI 10.1002/aic.15386. ·Jingmei Shen, Mayfair C. Kung, Zhongliang Shen, Zhen Wang, William A. Gunderson, Brian M. Hoffman, and Harold H. Kung, “Generating and Stabilizing Co(I) in a Nanocage Environment,” J. Amer. Chem. Soc. 2014, 136 (14), pp 5185–5188; DOI 10.1021/ja412446y. ·Mayfair C. Kung, Mark V. Riofski, Michael N. Missaghi, and Harold H. Kung, “Organosilicon Platform: Bridging Homogeneous, Heterogeneous, and Bioinspired Catalysis,” Chem. Commun. 2014, 50, 3262-3276; DOI: 10.1039/C3CC48766K. ·Neema N. Mashayekhi, Yi Y. Wu, Mayfair C. Kung, and Harold H. Kung, “Metal Nanoparticle Catalysts Decorated with Metal Oxide Clusters,” Chem. Comm., 2012, 48 (81), 10096 – 10098. Xuejun Bai, Yueyang Yu, Harold H. Kung, Biao Wang, Jianming Jiang, “Si@SiOx/graphene hydrogel composite anode for lithium-ion battery”, Journal of Power Sources, (2016), 306, 42-48. Evgeny V. Beletskiy, Xianliang Hou, Zhongliang Shen, James R. Gallagher, Jeffrey T. Miller, Yuyang Wu, Tiehu Li, Mayfair C. Kung, Harold H. Kung, “Supported Tetrahedral Oxo-Sn Catalyst: Single Site, Two Modes of Catalysis”, Journal of the American Chemical Society, (2016) 138(13), 4294-4297. Evgeny V. Beletskiy, Yuyang Wu, Mayfair C. Kung, Harold H. Kung, “Addition of Sn-OiPr across a C=C Bond”, Organometallics, (2016), 35(3), 301-302. Zhen Wang, Evgeny V. Beletskiy, Sungsik Lee, Xianliang Houa, Yuyang Wu, Tiehu Li, Mayfair C. Kung, and Harold H. Kung “Amine-functionalized siloxane oligomer facilitated synthesis of subnanometer colloidal Au particles”, Journal of Materials Chemistry A, (2015), 3, 1743 – 1751. Harold H. Kung, Mayfair C. Kung, “Inspiration from nature for heterogeneous catalysis”, Catalysis Letters, (2014), 144 (10), 1643-1652. Jingmei Shen, Kai Han, Elizabeth J. Martin, Yi Y. Wu, Mayfair C. Kung, Cary M. Hayner, Kenneth R. Shull, and Harold H. Kung “Upper-critical solution temperature (UCST) Polymer functionalized Graphene Oxide as Thermally Responsive Ion Permeable Membrane for Energy Storage Devices”, J. Mater. Chem. A, 2014, 2 (43), 18204 – 18207. DOI: 10.1039/C4TA04852K.